All Build it stores stock SABS approved corrugated iron roof sheeting and IBR with accessories. Stores will cut these products to your specific needs; however you will need to pay for the standard lengths. Build it supplies Ciron and IBR up to 13.2m in length. Our stores are also accredited Harvey Tile stockists. 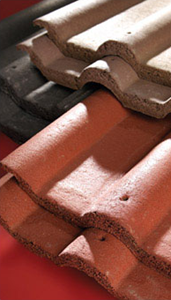 We supply concrete roof tiles from all the major South African manufactures, and we will deliver truck loads where required on request. We are approved Everite stockists and carry all their products, including Big 6, Barge Boards and Fascias. Certain stores stock fibre glass roof sheets in different lengths and colours.